Cornerstone Real Estate Management System has been servicing real estate businesses across the country for more than three years with huge success. And now, the team is looking to achieve a new milestone by making the system more sophisticated and advanced with machine learning capabilities to improve the system’s overall user experience and efficiency. 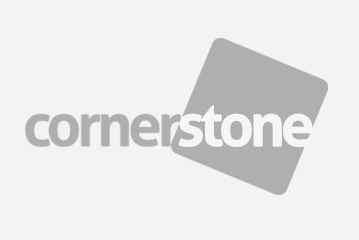 This means that Cornerstone will be able to analyze and read data without the help of our programmers. It will also be able to provide strategic financial forecasts and business intelligence to aid with business growth. Financial Forecasting and Tracking – This module will help Cornerstone’s users to predict future financial status on a weekly, monthly, and yearly basis based on the business’ historical financial data. Lots of factors will be considered such as past and present financial status, accuracy of the data synced in the module, and market trends. This module will help real estate businesses on their overall decision making and will help them steer the business to where it should go in terms of business growth. Business Intelligence - This module will help real estate business operators in their overall business operations and can be used to support a wide range of business decisions such as market positioning, property pricing, priorities, goals, and a lot more. This module also comes with advance features such as online analytical processing, data mining, process mining, business performance management, benchmarking and a lot more. Once launched, Cornerstone will be the only ERP solution system for real estate in the Philippines that operates using Artificial Intelligence technology. Contact us to know more about our real estate management system. Article originally posted on Forward Tech Lab Blog.